When I started eating a low-carb diet, my family's diet changed too. My (healthy) husband and two (healthy) teenage boys do not and should not have to eat as carefully as I do. They don't have the health problems that prompted me to make these changes. But I am my family's primary grocery shopper, meal preparer, refrigerator stocker and lunchbox packer. 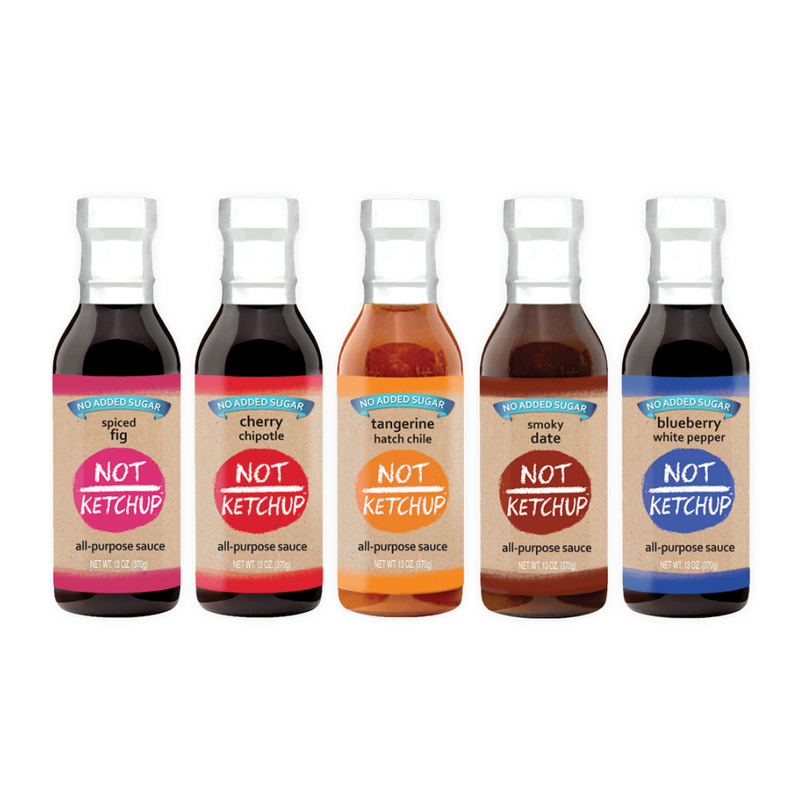 I also have a full-time job and a side business to run (my Not Ketchup sauces). All of which means I am not very interested in making two sets of meals - one for me and one for the rest of the family. My protein-loving family loves most of the low-carb foods I have been enjoying. 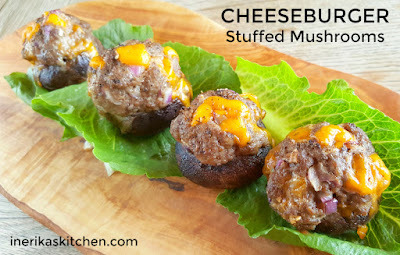 These Cheeseburger Stuffed Mushrooms disappeared quickly. I glazed some of them with my new *No Sugar Added* Cherry Chipotle Not Ketchup, and that was also a big hit. 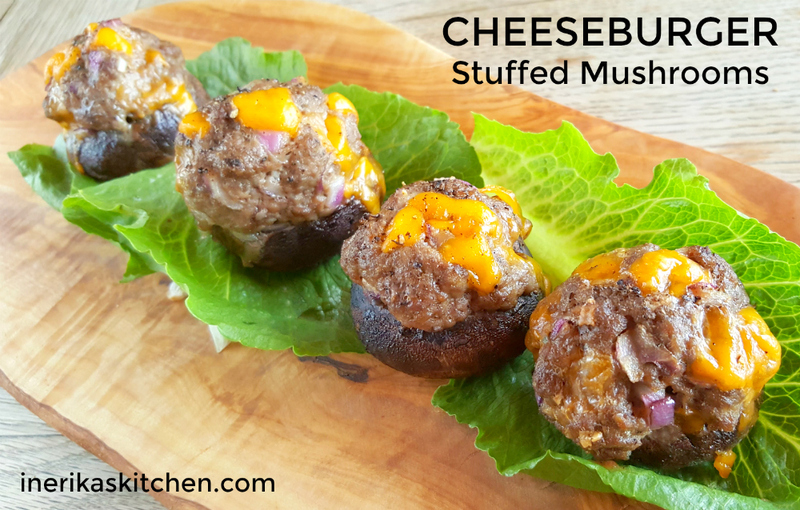 I love these Cheeseburger Stuffed Mushrooms because they're easy, fast, low-carb, and FUN. Dinner tastes so much better when you can eat it with your fingers, don't you think? These would also be a great low-carb appetizer for a cocktail party. Heat the oven to 400 degrees F. Line a baking sheet with foil or parchment paper. Wash the mushrooms and carefully pop out the stems. Brush each mushroom with olive oil and lay it on the baking sheet. Put the mushrooms in the oven for about 10 minutes. The idea is to cook them partially before stuffing them to concentrate the mushroom flavor a bit and get out some of the liquid. While the mushrooms are cooking, mix together the ground beef, onion, garlic, salt, pepper and cheese in a bowl. Roll the beef mixture gently into 12 balls. Remove the mushrooms from the oven, then put one beef ball inside each mushroom. Press down gently and smooth the beef mixture so it fills the entire hole and extends all the way to the edges of the mushrooms. If using the Not Ketchup, brush about a teaspoon on top of each stuffed mushroom. 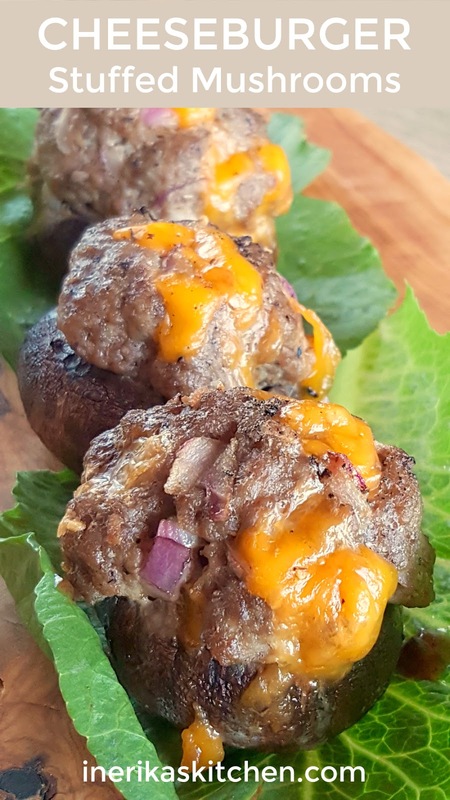 Return the now-stuffed mushrooms to the oven for 25-30 minutes, until the beef is cooked through. Serve immediately with more Not Ketchup for dipping. @Hugo that would be ABSOLUTELY THE BEST WAY to make me the happiest woman on earth! I'm not kidding.